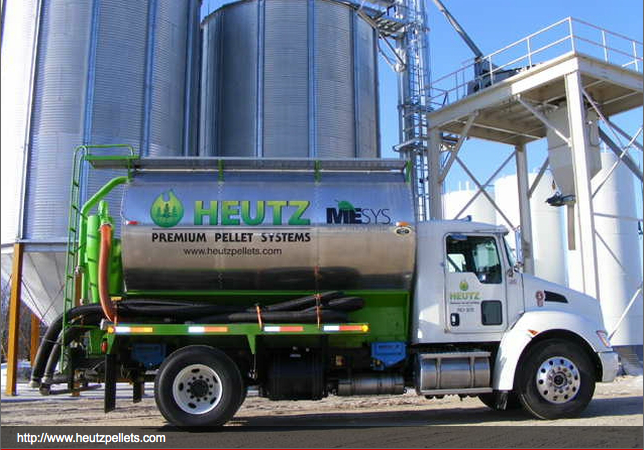 This map displays the approximate bulk wood pellet delivery areas serviced by companies with pneumatic bulk trucks (see images below). 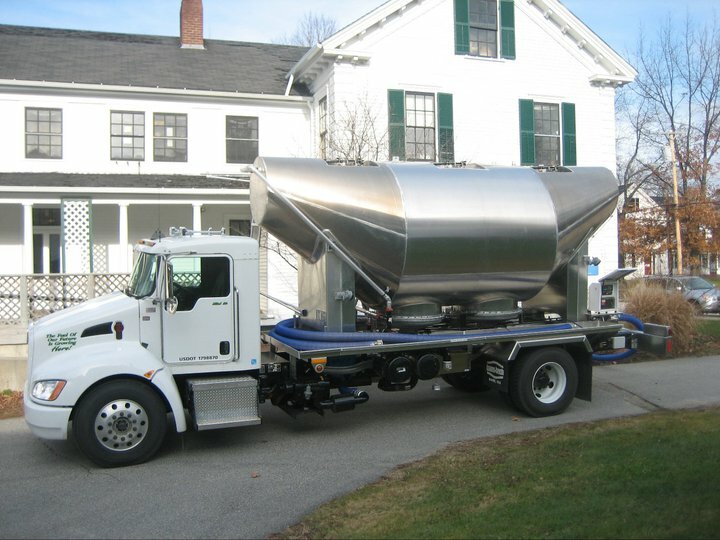 Delivery areas are estimated and could be larger or smaller depending on actual roadways. 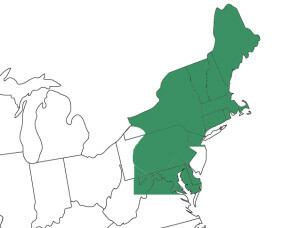 More bulk regions are becoming available. 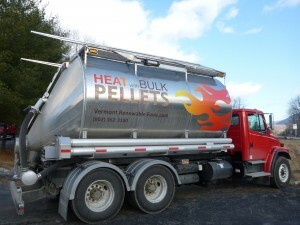 If you are interested in switching from oil to wood pellet heating but bulk wood pellet delivery is not yet in your area we have provided additional information. Energex Wood Pellet Mill in Mifflintown PA rents out their bulk truck through their PelletsExpress™ program. 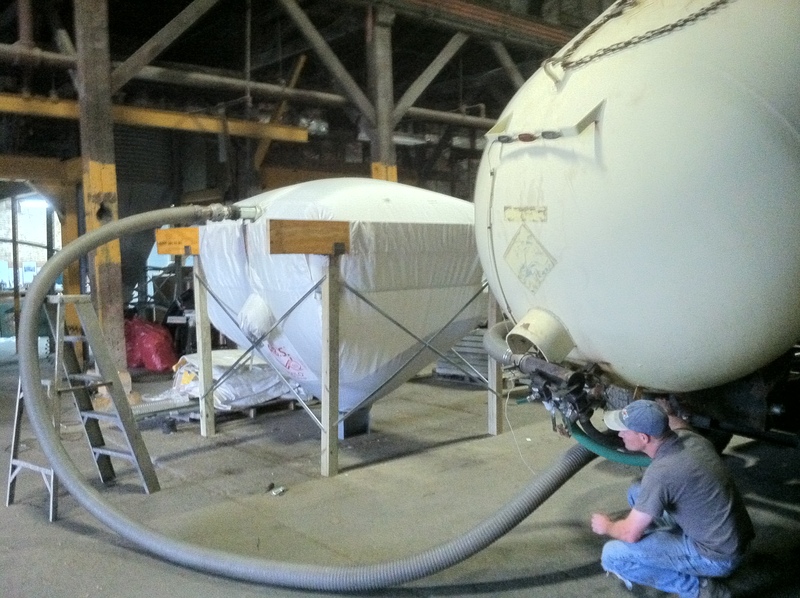 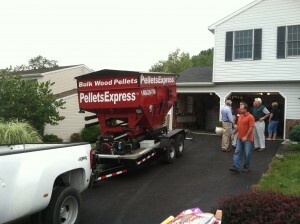 Energex Pellet Mill in Mifflintown PA rents out their bulk wood pellet trailer through their PelletsExpress™ program. Testing the bulk bin fill operation. 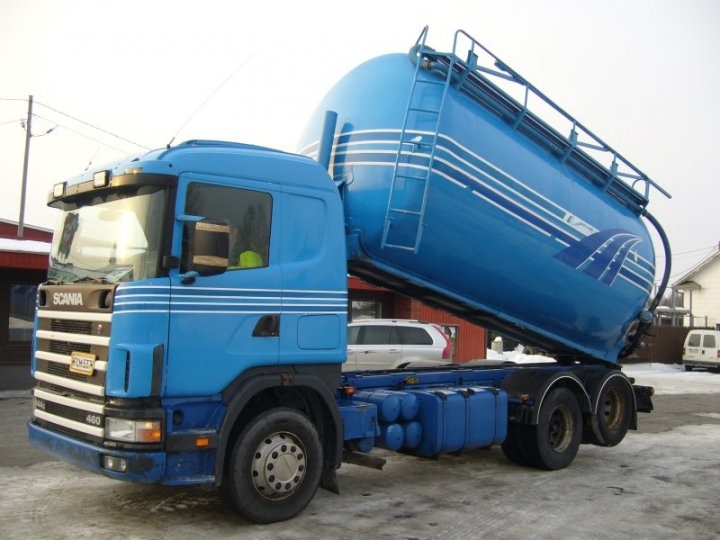 In the videos below the storage tank is staged near the delivery zone by a standard container truck. 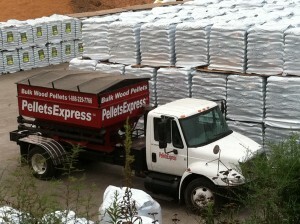 Pellets are loaded into the container at the mill through a port in the top. 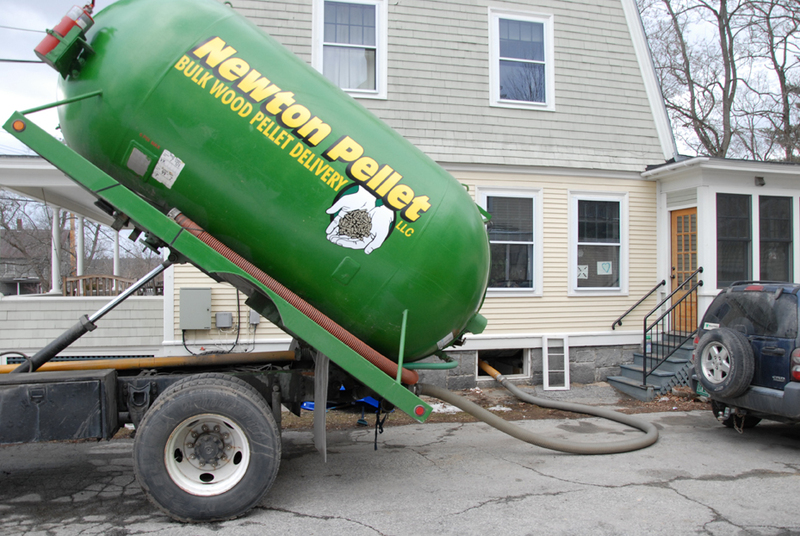 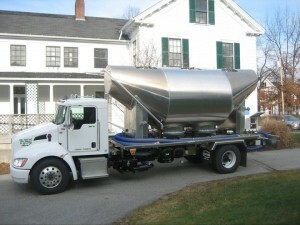 The delivery truck has a pneumatic hose and scale for blowing the pellets into the bin at the delivery location.